Tranquil and serene, the atmosphere surrounding IGLS Resort Villas at Innsbruck in the quaint village of Helen provides the perfect vacation destination. The town resembles a German Alpine village including an 18 bell Glockenspiel and plenty of shops and restaurants. Among the variety of activities, guests visiting the resort will enjoy golfing, tennis, and beautiful views of the area. These North Georgia timeshare resales offer well-equipped two and three bedroom units at IGLS Resort Villas at Innsbruck. 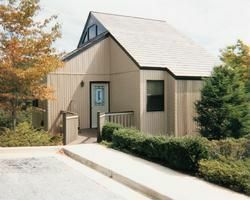 The units feature spacious bedrooms, at least two bathrooms, and a full kitchen. 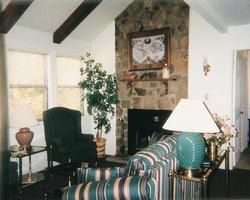 While spending time in the timeshare villa you can enjoy sitting next to the fireplace while watching cable television or DVDs. There is more than enough room for everyone in your group to enjoy some privacy or sit around the dining table and play games or cards. Skiing in Georgia? You Bet! On-site amenities include an amazing 18-hole championship golf course for the golfing enthusiast. Golf packages can be purchased to allow unlimited golfing for a reasonable fee. The family will also enjoy spending time in the outdoor swimming pool or taking advantage of the tennis court. The town of Helen is about a mile away from the resort where you can enjoy fishing, white-water rafting, horseback riding and a variety of other activities. If you visit during the winter months, make sure to take the time for some downhill skiing at Sky Valley. Hiking through the Chattahoochee National Forest, Tallulah Gorge Park, or Toccoa Falls will create memories to last a lifetime. Whether you are planning a vacation with the grandkids, a romantic getaway, or a family retreat, North Georgia timeshare resales can offer affordable vacations at IGLS Resort Villas at Innsbruck. The free-standing villas offer all the comforts of a true vacation home and Wi-fi is available in the clubhouse. The picturesque community is located on the 7th, 8th, and 9th fairways of the golf course providing beautiful views and well-landscaped areas. Spending time around the resort or heading into town for shopping and restaurants creates a peaceful vacation to get away from the stress of everyday life. Contact IGLS Resort Villas at Innsbruck Specialist Today!